To create an Event, please follow these simple steps. 1. From your dashboard hover over Events and click 'List Events'. 2. From the Events page, click 'Add'. 3. Enter in the name of the Event you wish to create and fill out all other relevant information. Ensure all compulsory fields (marked with a red asterisk) are filled in. Note: You can select for no registration form to be attached to an event. 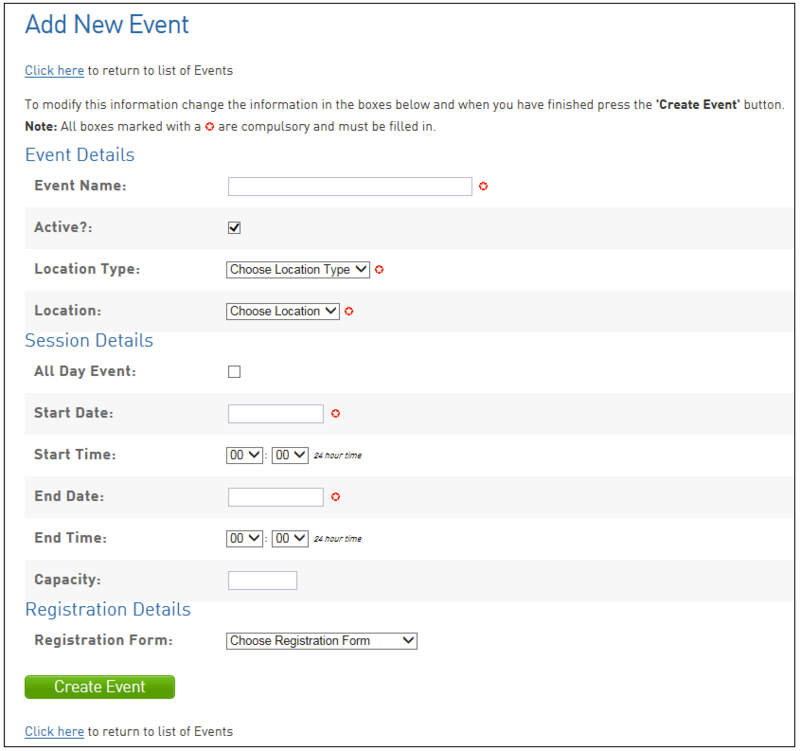 This will mean that the event will display on the calendar without the option for people to register for the event - it will simply be a 'notification' appearing on the calendar. 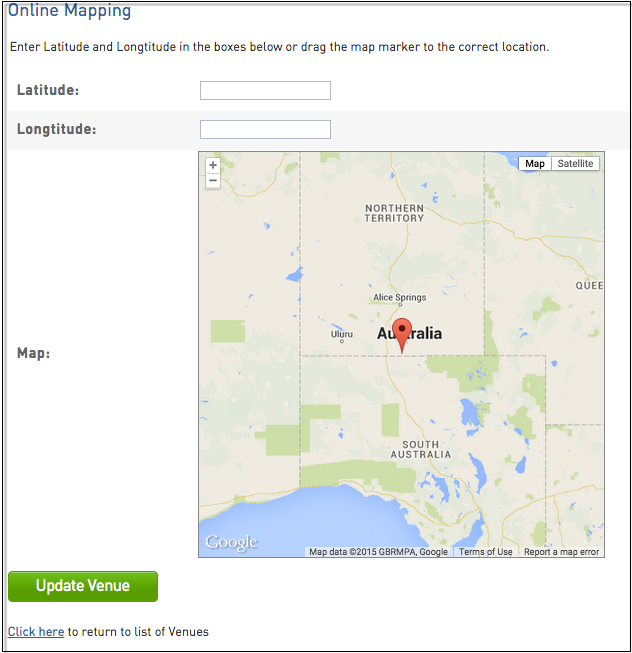 When choosing the Location Type select either Club or Venue. If you select Club, the information that is in the Club/Class Locator will display as the location for the Event. 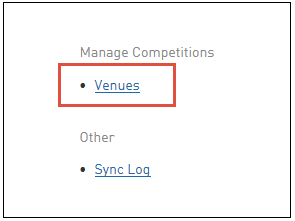 If you select Venue, a list of venues will appear for you to choose from. You will need to have set up some venues in order for options to appear. - Click on the 'Settings Cog' in the top right hand corner and select 'Settings'. - Under 'Manage Competitions' select 'Venues'. - Click on the ADD button, enter the details of the Venue and click Update Venue. 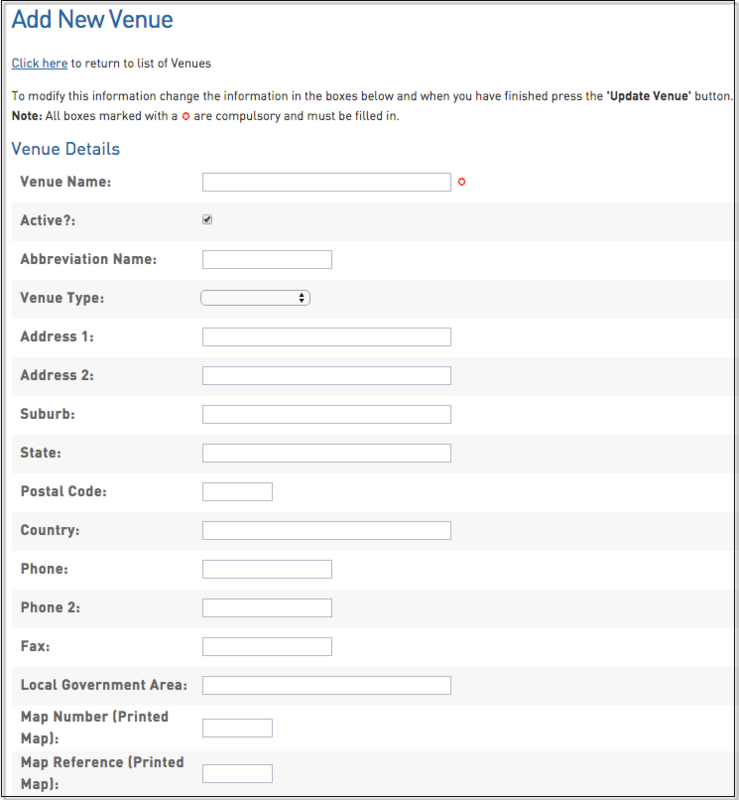 This will add a Venue to your list of Venues that you will be able to select when setting up an Event. For Class Associations setting up Events this will be a key step.